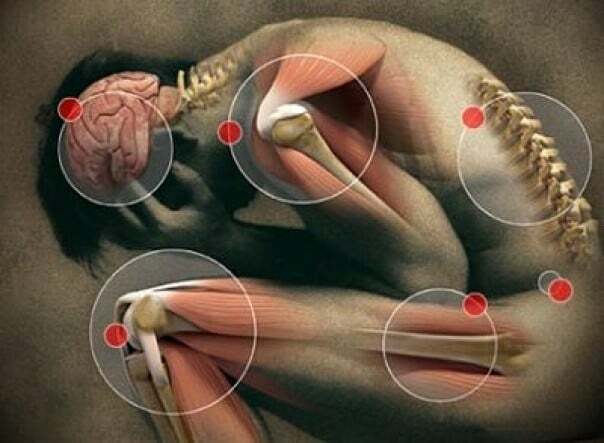 Doctors aren’t sure why fibromyalgia develops. It may be caused by a change in the way the brain perceives pain signals, resulting in increased sensitivity. It can also develop after a traumatic injury or disease, or after major surgery. Fibromyalgia may result in a range of symptoms, but typically pain is felt when slight pressure is applied to the muscles and joints. Tender areas often include the back of the head, neck, upper back and chest, elbows, hips and knees. Fibromyalgia may also result in unrefreshing sleep, headaches, irritable bowels and increased sensitivity to lights, sound, smells or touch. Treatment plans are tailored to individual patients and symptoms. Treatments can include medications, relaxation techniques, and changes in lifestyle.